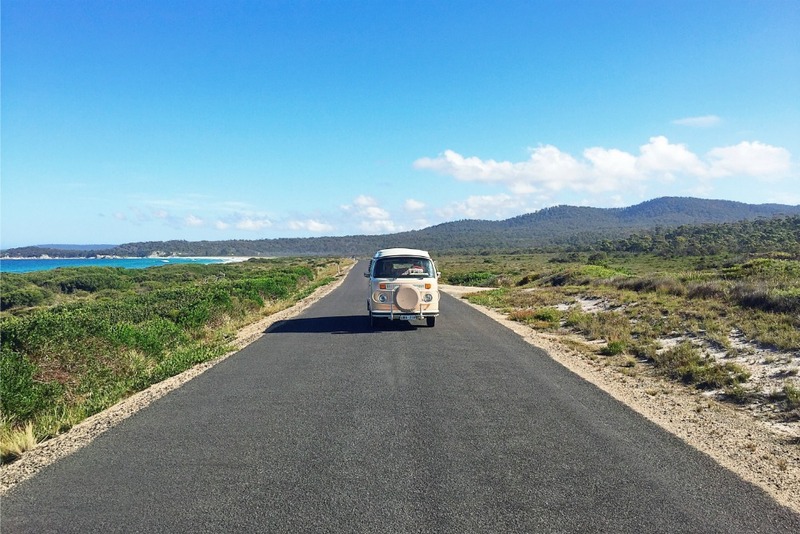 Last week, we introduced you to adventuring couple Elise and Dom, whose road trip on the Great Eastern Drive in their vintage Kombi captured our imagination. If you haven’t already read this chapter of Elise and Dom’s story, you really shouldn’t miss it—you can find it here. 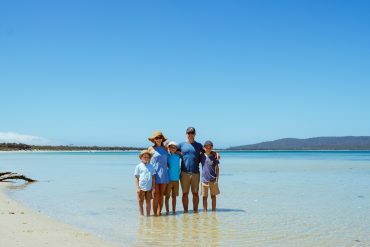 Elise and Dom’s Great Eastern Drive Road trip became their ‘best holiday, ever’ and a big part of the reason for that was the idyllic time they spent at the Bay of Fires. The Bay of Fires is one of those rare holiday destinations that actually lives up to its reputation. This dramatically beautiful piece of coastline, which stretches from Binalong Bay in the south to Eddystone Point in the north, is one of the most talked about and photographed places in Tasmania. But no image can compare with seeing the Bay of Fires for yourself. This is a place of extraordinary beauty and tranquility that has the unique quality of being easily accessible while also feeling like your own private paradise. Taking your own Bay of Fires road trip couldn’t be easier. 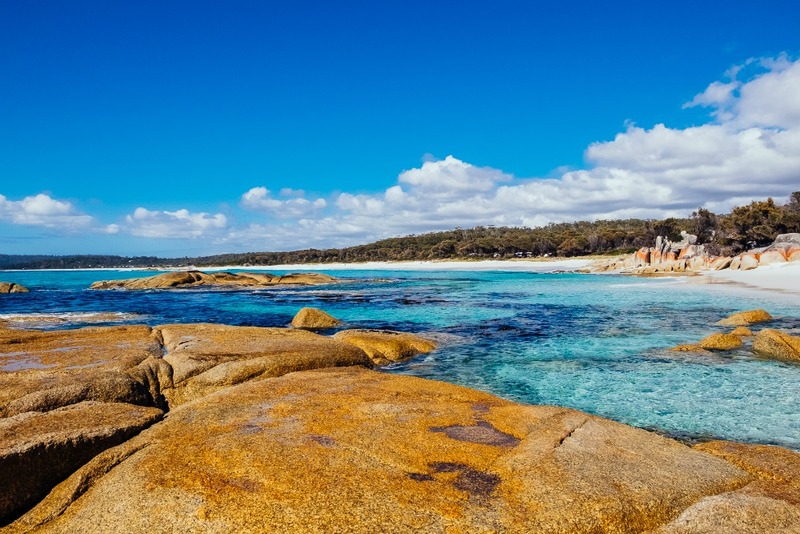 Some of the most stunning beaches and bays of the east coast are found in the Bay of Fires Conservation area—and you can reach all of them by car, just a few minutes’ drive from the highway. One of Elise and Dom’s favourite places on their Great Eastern Drive road trip was The Gardens. 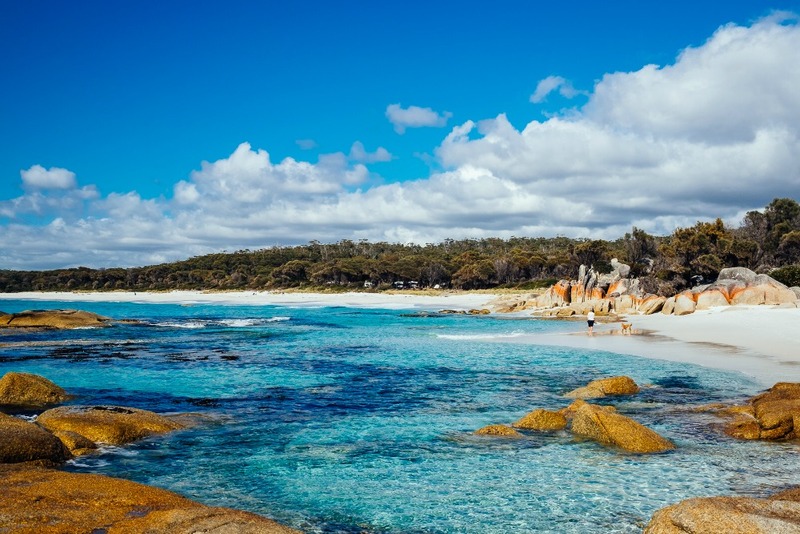 This necklace of beautiful beaches is strung along the coastline of the Bay of Fires Conservation Area, a short drive from the towns of St Helens and Binalong Bay. This 250m stretch of white sand is bordered by dramatic granite outcrops and is a wonderful beach for walking. 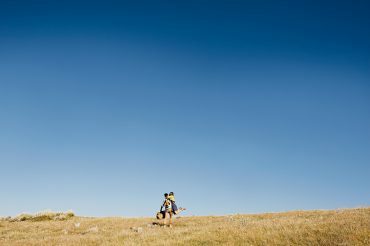 Go for a stroll and soak up the great views and east coast sunshine as you laze the day away. Another delightful beach for taking long, leisurely walks and watching the waves roll in. Relax and drink in the incredible views in between exploring, beachcombing and general meandering. There are actually two cosy corners linking this stretch of white sand, nestled beneath protective rocky points at each end of the 80-metre beach. Park your car at either end and walk at your leisure, dip your toes in the water or simply curl up on your towel and enjoy the scenery! You’ll also find stunning beaches at Sloop Lagoon, Taylors Beach, the Gardens Beach and Seatons Cove—so we recommend stocking up your picnic basket with luscious local treats, grabbing a rug and your camera and dedicating a day or more to getting the sand between your toes. The closest major town centre to the Bay of Fires is St Helens. This is the place to stock up on food and fuel. There are no shops or petrol stations past this point apart from Moresco’s Cafe, so indulge in a bit of shopping before you head to the Bay of Fires. You can find out more about St Helens here. A ten-minute drive from St Helens will bring you to Binalong Bay—a tranquil beach holiday town located on the edge of the Bay of Fires Conservation Area. The bay here is a postcard-worthy scoop of turquoise water, rimmed with white sand beaches and encircled by holiday houses. While you could spend an entire day here just staring at the sea, be sure to pay a visit to Moresco’s—Binalong Bay’s only restaurant—which offers fabulous views and a Mediterranean-inspired menu of fresh local produce. 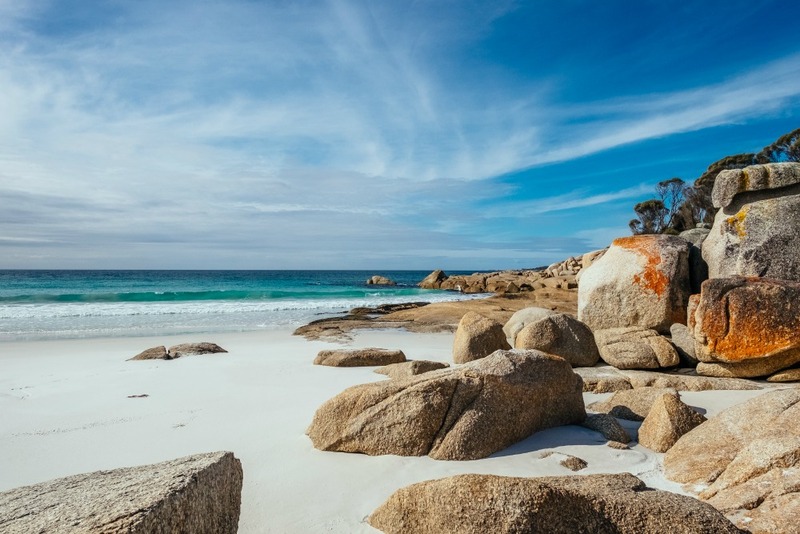 And if you want a completely different perspective on the Bay of Fires, make your way to the Gulch at Binalong Bay and join Bay of Fires Eco Tours to explore the coast from the sea. You can see our recent journey with Bay of Fires Eco Tours here. 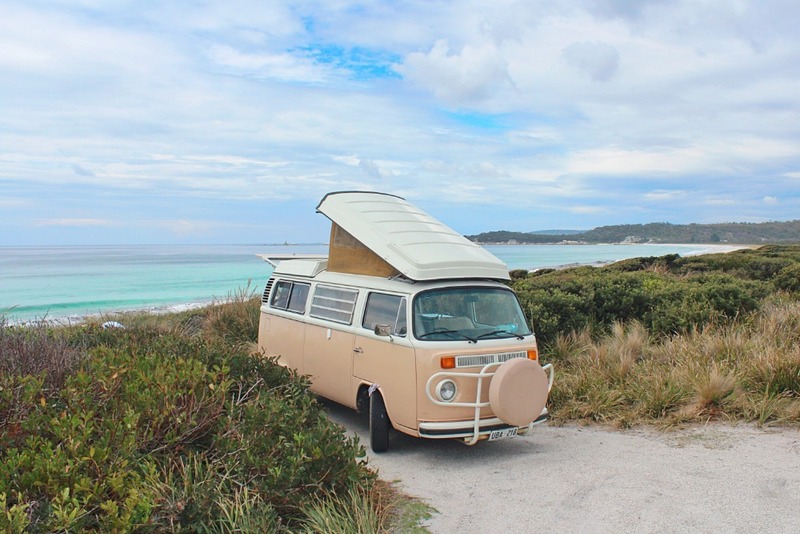 Our intrepid road trippers, Elise and Dom, spent their Bay of Fires holiday camping in their Kombi, and waking each morning to the sound of the ocean. While there are beachfront campsites dotted along the Gardens Road, facilities are limited, so if you’re planning to camp, we advise checking the Tasmanian Parks and Wildlife Service website for information before you travel. 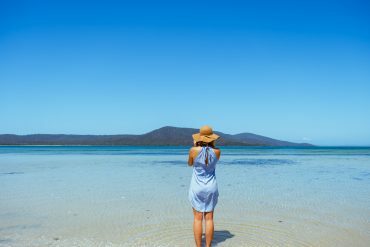 Another option is to base yourself in a welcoming cottage, bed and breakfast, five-star retreat or holiday apartment in nearby St Helens or Binalong Bay (many with a stunning ocean view). One very special option is Pelican Point Sanctuary at St Helens—a luxury retreat located on 87 acres of private land, just a few minutes’ from the Bay of Fires. We recently visited Pelican Point to meet the hosts and take a few snaps—you can see and read about it here. 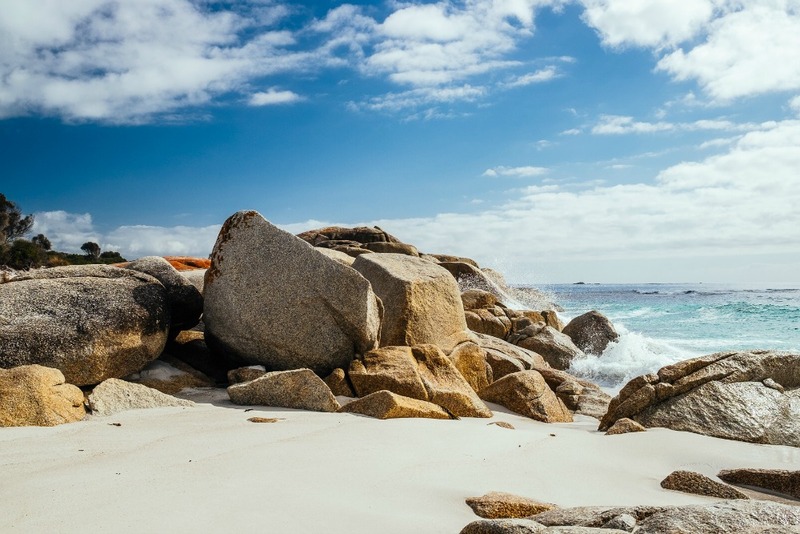 To find out more about accommodation options for your Bay of Fires holiday, check our Where to stay page and start planning now. 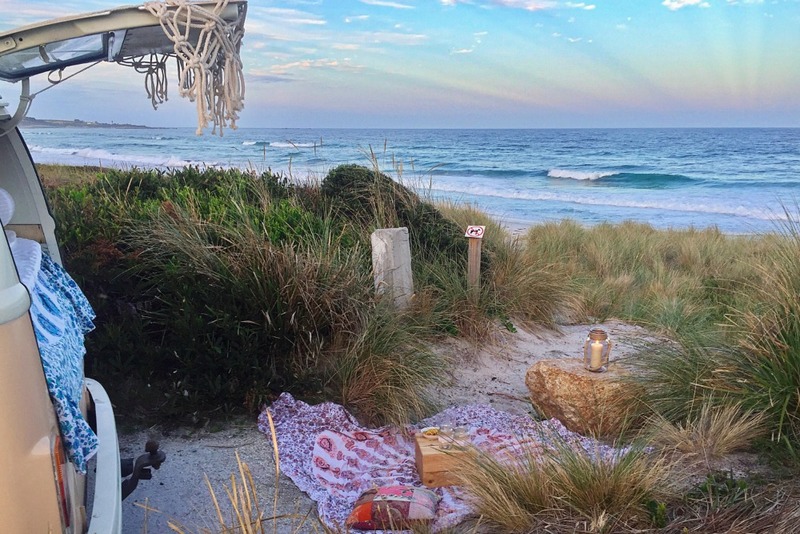 Once you visit the Bay of Fires, you’ll understand why it made such a deep impression on Elise and Dom, and why their time at the Gardens became one of the most memorable and meaningful travel experiences they’d ever had. To make your Bay of Fires holiday planning even easier, simply copy and paste our travel tips into your itinerary, and you’re on your way! Take the Binalong Bay Road from St Helens (C850) and turn left at the sign that reads ‘The Gardens 13kms’ (C848), just before you reach Binalong Bay. Take your time driving along this road, making sure to stop and explore the gorgeous beaches and coastline of the Gardens. 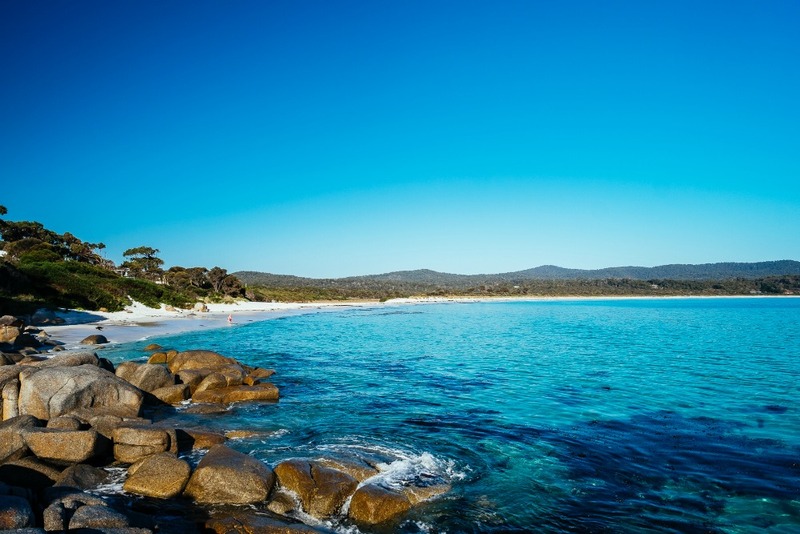 Visit the beaches along the Gardens Road, including Jeanneret, Swimcart and Cosy Corner; see the Bay of Fires from the water and encounter fantastic marine life with Bay of Fires Eco Tours and explore the east coast towns of Binalong Bay and St Helens. There are great accommodation options in St Helens and Binalong Bay, right on the doorstep of the Bay of Fires. 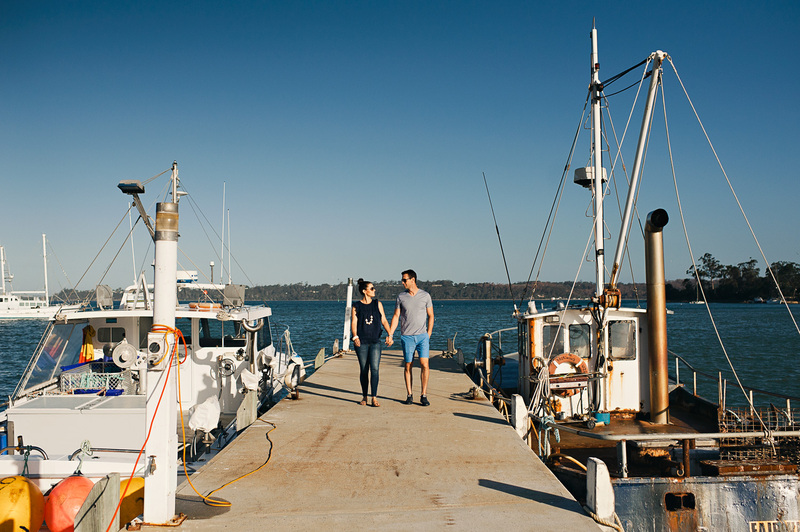 For a special accommodation experience, try Pelican Point, or check our Where to stay page to find your favourite. Try Moresco’s in Binalong Bay for Mediterranean-inspired contemporary dining, or take your pick of restaurants and cafes in St Helens. Make sure you visit the fish punts on the St Helens waterfront for fresh, locally-caught seafood. *NOTE: The beaches of the Bay of Fires Conservation Area are unpatrolled and ocean conditions here are variable. At times, strong currents and rips can occur, so make sure you check local conditions and stay safe. I went to Bay of Fires all the way down the east coast staying at Bicheno and Coles Bay, absolutely beautiful. Went on a boat cruise to Wineglass Bay, absolutely lovely. Highly recommended, well worth it plus we were lucky to get a pod of dolphins swimming alongside the boat on the way back to Coles Bay. That’s great Julie. We are so glad that you had a great time. And what a bonus, a friendly visit and entertainment from some of the locals. Look forward to you coming back again … and again!